I am honored to be participating in the One Room Challenge hosted by Linda @ Calling it Home. She works so hard to plan and orchestrate an amazing display of room transformations. 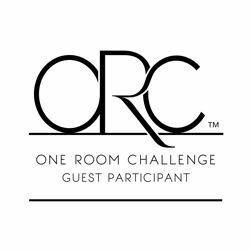 I can’t wait to tune in each week to see the process of amazing bloggers completing the One Room Challenge. So much talent gathered in one place! Participating in this challenge provides me the perfect opportunity to refresh our master closet. So our master closet was a hot mess. I mean really! 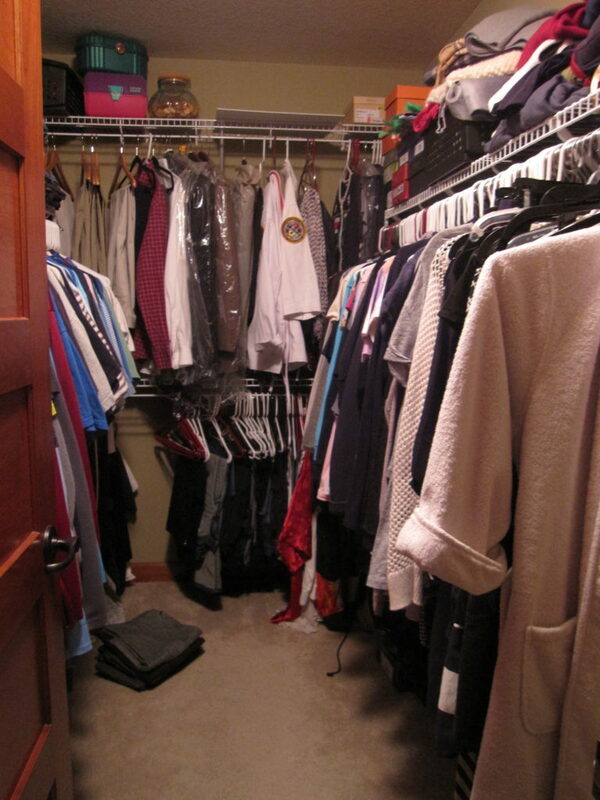 Each time I walked in the closet I was frustrated by the lack of overall space as well as the apparent mess and inability to keep it organized. It was difficult to figure out what I wanted to wear and/or even find the specific pieces I was looking for. So you ready for this!!! Here is the lovely before shot. I debated on whether or not to even post a before shot…cause really…do you really need to see this mess?!?! After a little bit of a mental debate I figured I would go ahead and post it as a great way to showcase how much the space will really change. Just looking at this before picture leaves little doubt as to why I was so frustrated with the space and anxious to build something more functional. We knew we had to do something. Eventually we spent hours looking on-line at different options. Many of which appeared dreamy but were way out of our budget. Then one day I found this beautiful image and it was love at first sight. If you haven’t checked out Kelly’s blog you totally should. 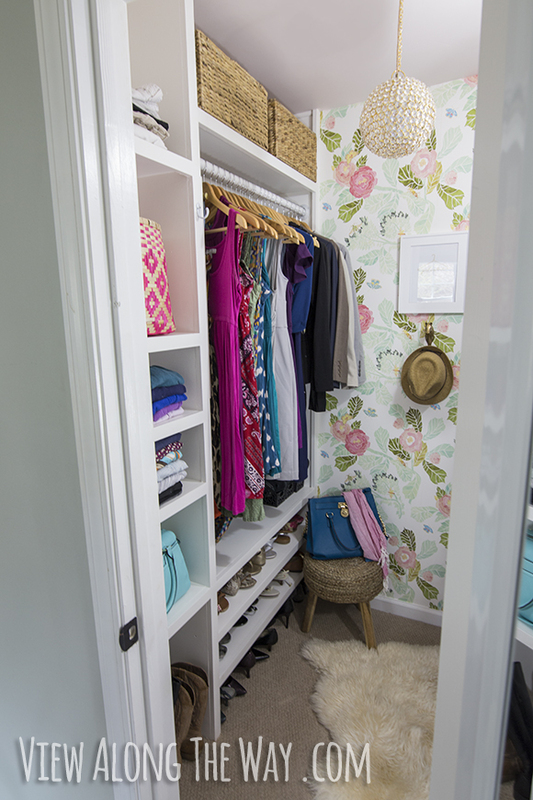 Thank you for following along as I work to transform our master closet from drab and messy to beautiful and functional. Check back each Thursday to see our progress. Next up…we will be cleaning this baby out and painting. Stay tuned until next week. Looks like my closet lol;) Good luck- excited to see your transformation! Thank you Christine! Not sure what I got myself into but super excited to tackle this space! Thank you for the support Joy! We can brave this journey together!! Thank you Hollie! I can't wait to see this project finished! Trying to enjoy the journey! Hi Melissa, The before pictures can be so scary. I can't wait to watch your master closet transform!